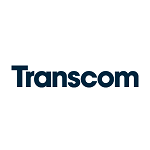 Transcom was created back in 1995 by Kinnevik, led by the visionary Jan Stenbeck. Since its inception, it has experienced sustained growth and expanded into different geographies. Transcom is a global customer experience specialist which provides customer service, sales, technical support, and collections services through their network of contact centers and work from home agents. Transcom sees that a company’s customers are the lifeline of their businesses which is why it aims to deliver superb customer experience. Transcom has 29,000 customer experience specialists located at 50 contact centers spread across 20 countries. Customer Experience – Transcom is focused on customer experience. Sales-driven approach – clients call on them to help drive growth and sales. Cost Efficient – Transcom offers cost efficient services.